Planning and Management of International Culture Exchange, Japanese Cultural Experience, Translation and Interpretation. 10 regular employees with approximately 60 staff members including the attendants and instructors. Kyoto Bank, Kyoto Trust Depository, Mizuho Bank. Many Japanese people would like foreign visitors to Japan to experience and appreciate wonderful Japanese culture. Those who were offered kindness in foreign lands think so more strongly. We all know that only one or two hands-on cultural experience would not help people to gain thorough understanding of the culture. However, if you visit one country and enjoy a cultural experience with an experienced instructor there, you will probably come to like the country. We are proud of ourselves that we are making these things happen in Japan. What we always have in our minds is to offer foreign visitors wishing to do cultural experiences more in-depth and easy-to-understand explanation. Another important thing is to have a good time. Having a good time does not necessarily means that instructors and attendants are making funny jokes. We believe that people are having a great time when they have mutual understanding and sympathy among them. They feel that they are having a good time only when they share enjoyment through cultural experiences. In conducting these kinds of business, women demonstrate more ability and become more competitive. 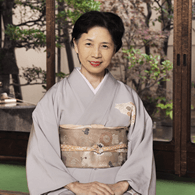 In Japan many women have played important roles in their families as full time house wives. These housewives never forgot about improving their skills for tea ceremony, flower arrangement, Japanese dancing and other Japanese cultures, although they were busy looking after their families, accompanying their husbands being sent to overseas posts. Our business started by making the best use of these women’s skills. WAK JAPAN handles many people doing cultural experiences at numerous places such as local residents’ homes, Machiya (traditional townhouses), conference halls, temples, etc. No matter when and where our customers do cultural experiences, we always make sure that our customers are truly satisfied, just like we would feel the same way if we go overseas and someone is trying very hard to make us happy.